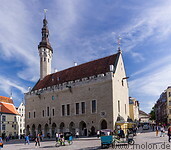 The historic core of Tallinn extends under the Toompea hill and consists of a maze of narrow cobblestone streets and alleys, with medieval, renessaince and baroque architecture. 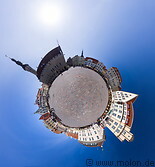 The old town is surrounded by a city wall and has been a UNESCO world heritage site since 1997. 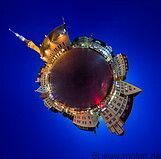 The rectangular town hall square (Raekoja plats) lies at its centre and is surrounded by buildings in characteristic Hanseatic architecture. Due to its small size, it is possible to explore the historic core in a few hours. There are many shops, restaurants and hotels.